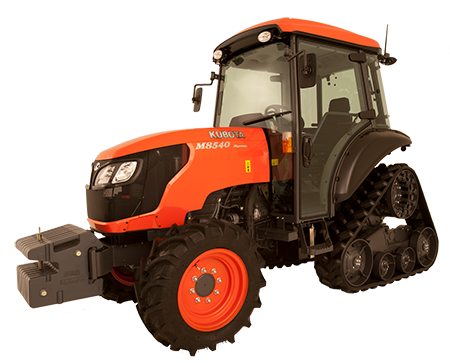 Kubota’s power krawlers offer exceptional traction, greater manoeuvrability and increased stability with a modified narrow and low clearance design. 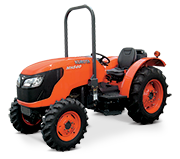 Powered by a reliable Kubota 84HP, E-CDIS, 4-cylinder, turbo charged diesel engine. Equipped with clever features to reduce soil damage, including a larger rear footprint which creates less compaction and damage to the soil. Features greater stability than competitor models with longer effective wheelbase and lower centre of gravity. 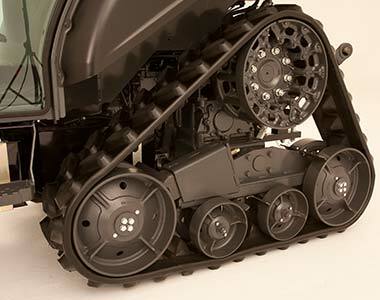 Due to the Power Krawler’s larger rear footprint, the weight of the tractor is dispersed more evenly, offering better flotation, less compaction and less damage to soil. The Power Krawler’s left and right crawlers oscillate independently. 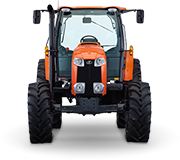 This means that both tracks can flexibly traverse bumpy surfaces, keeping both sides of the tractor in contact with the ground at all times. Whether you’re trying to beat the heat on a hot summer day, or stay cozy during the chill of winter, the deluxe air conditioner/ heater puts you in charge of the climate. 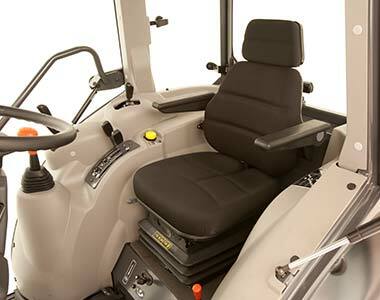 All narrow cab models feature an air-conditioned cab that keeps the operator comfortable while on the job.